ALL SEASON ALL WHEEL DRIVE! Panoramic Power Moonroof!! Navigation Display System!! Lots of Cargo Space!! 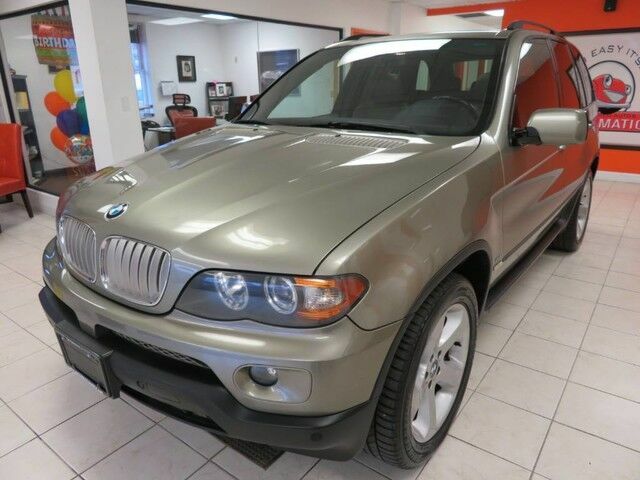 2005 BMW X5 44i, V8 xDrive Sport Utility, Gray with Tan Leather Interior, ft AM/FM CD, with Steering Wheel Audio Controls, DSC Stability/Traction Control, Auto Climate Control, Heated Front Seats, Power Locks, Windows, Mirrors, Rear Window Shades, Rear Spoiler, Power Tailgate Release, Keyless Entry, and Alloy Wheels. Just Serviced, Automatic Certified!